has fixed its biggest flaw. On Monday, MealPass launched a much-needed mobile app. 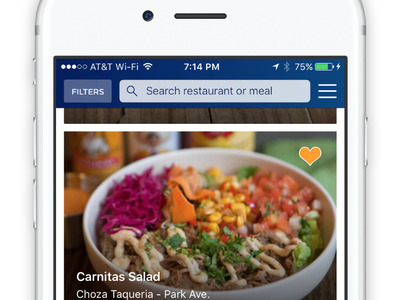 The new app will offer users the ability to search for and reserve meals, including the map feature, something that was previously obnoxiously cumbersome on mobile. MealPass, the brainchild of Biggins and cofounder Katie Ghelli, promises a month of lunches every day of the work week for the flat rate of $119. The startup is expanding service to all of Manhattan from Battery Park to 60th Street on Monday. Outside of New York, MealPass is available in Miami and Boston, and is about to launch in San Francisco. 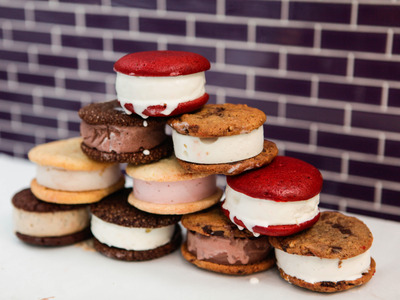 To celebrate the announcements — as well as the first day of summer — MealPass is offering free ice cream sandwiches from Melt Bakery and frozen yogurt from 16 Handles to anyone who downloads the app after 10 a.m. on Monday. In addition to the new app, the startup is also addressing Business Insider’s three other major complaints: limited options, unhealthy meals, and MealPass anxiety. As MealPass expands, options also expand, offering greater choice for customers. Further, there are plans to allow customers to sort by ingredient, a valuable tool for picky eaters, as well as customers with allergies or dietary restrictions. And, as MealPass gathers more customer data, the startup is better able to work with restaurants to pick menu items that will appeal to customers’ preferences, whether they be regional (New Yorkers tend to have more adventurous palates than Bostonians) or determined by the day of the week (users order more healthy options on Monday than Friday). Still, the startup’s most difficult challenge may be conquering MealPass anxiety. My biggest issue with MealPass is self-imposed. The pressure to make sure I get my money’s worth from the app (especially after Eater reported rumours that MealPass only makes money when users don’t order food) takes away some of my lunchtime enjoyment. I don’t want to miss a day, so I pick up food even if I’m busy during lunch. I want to make the most of my money, which means strategising which restaurants offer the most value. Every day, I’m weighing the distance I’d walk for my food versus what I actually want to eat versus the nutritional information – all adding to the stress that MealPass is intended to remove. I’m not alone in my concerns. Solving MealPass anxiety requires more nuanced solutions than creating an app or adding new restaurants to the system. Part of the solution is the 12 meal-plan (which I eventually adopted to combat my own MealPass anxiety), in addition to the 20-meal plan. 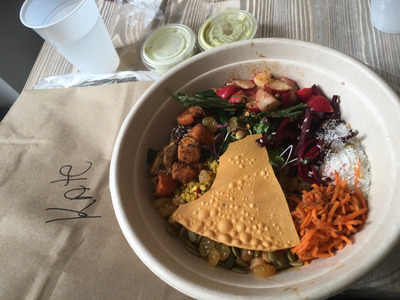 The startup is launching with the less-expensive option in San Francisco, instead of offering it as a choice for uncertain customers who had already joined MealPass. Biggins says the startup also plans to use the app to send customers customised pop ups to remind them to pre-order their meals. Someday, MealPass may even place orders automatically, based on established patterns, if users forget to place their order before 9:30 a.m.
And, one day, there may not even be need to place that order before 9:30 a.m. Restaurants already know roughly how many pick ups to expect, even before checking their daily orders. Eventually, the restaurants will be able to prepare the correct number of meals — without users placing orders ahead of time. The possibility of ordering in real time is an achievable one, according to Biggins — though it’s not her only target, as MealPass explores delivery and expanding beyond breakfast. Plus, there’s geographical expansion. The startup is about to launch in San Francisco, and Biggins says further expansion is on its way.